Many patients are confused when it comes to treating painful joint conditions with cortisone versus prolotherapy. It must be understood that cortisone and prolotherapy are not the same treatment and the effects of each are dramatically different. Cortisone shots can permanently damage bones, ligaments, muscles, cartilage and tendons resulting in a weakening of the joint and resultant degenerative joint disease (DJD), or osteoarthritis, osteoporosis, fractures and muscle weakness. 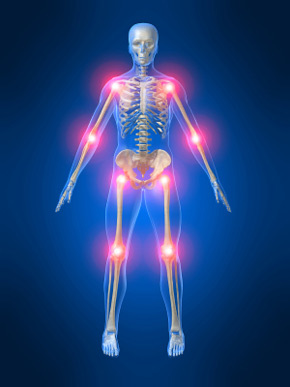 This structurally weakens the joint, increases the production of more pain, more cortisone shots and eventually surgery. Many orthopedic physicians and doctors treat musculoskeletal and sports injuries with cortisone injections to relieve pain associated with their condition as a “quick fix”. The unsuspecting athlete returns to the playing field thinking their painful condition is cured when it is actually weakened by the cortisone injection. As a result, many athletics overstress their weakened joint resulting in permanent damage that leads to chronic use of pain medications. Cortisone can cause tendon rupture, particularly of the achilles tendon. Prolotherapy is a proven orthopedic treatment to reduce pain and strengthen weakened joints without the negative side effects of cortisone.